50s Pearl Necklace and Earring Set.Includes: Pearl necklace and matching pearl earrings.Available Size: One Size Fits Most Adults.50's Pearl Necklace & Earrings Set - Flirtin With The Fifties - Cultivate your 50's style with this charming Pearl Necklace and Earring Set! Includes: Pearl necklace and matching pearl earrings. 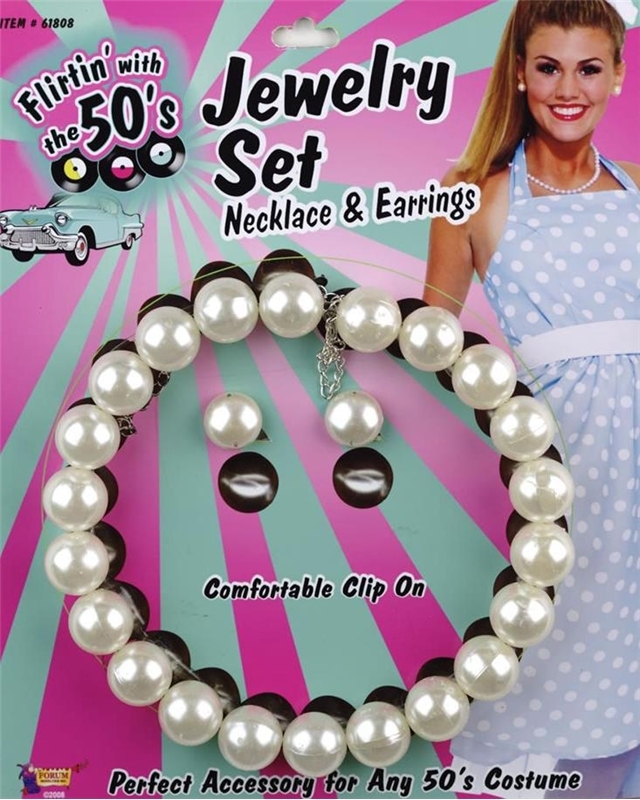 50's Pearl Necklace & Earrings Set - Flirtin With The Fifties - Cultivate your 50's style with this charming Pearl Necklace and Earring Set!